Susan, a 46 year old female retired nurse arrived in my office with a chief complaint of joint pain, involving the hands. Susan was post menopausal, and had been taking prednisone (a synthetic steroid) for her diagnosis of rheumatoid arthritis. Susan’s blood test panel was positive for rheumatoid factor. Above left: The Tomato is a Nightshade Vegetable, courtesy of Wikimedia Commons. The pain in her fingers is so severe, Susan finds it helpful to immerse her hands in a bucket of ice water in the middle of the night. Physical examination shows swollen inflamed joints of the fingers (DIP and PIP joints). 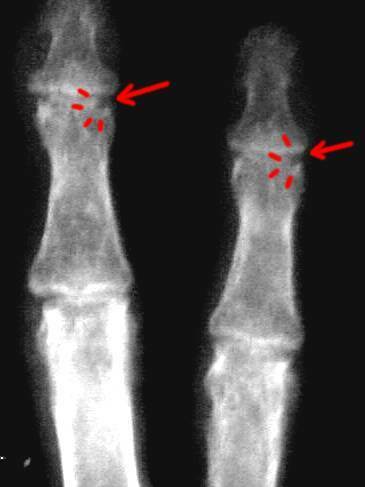 Susan brought in Xrays of her hands which showed synovial erosions along the margins of the affected joints. Susan was started on bioidentical hormones including Bi-Est (estrogen), Progesterone, Testosterone and DHEA. She was also given LDN (low dose naltrexone) a 4.5 mg capsule taken each night before sleep. Once on treatment, Susan did a little better, with some improvement, yet continued to have joint pain. Susan consulted several rheumatologists, and was prescribed methotrexate, a mainstay immunosuppressive medical treatment. This drug helped her greatly. However, she was worried about the long term adverse effects of methotrexate, and wanted to get off the drug, if possible. A few months later, Susan came into my office, exclaiming she is pain free, and was off all the dreaded prednisone and methotrexate drugs. Tom, a 46 year old gentleman with severe incapacitating pain and swelling in the joints arrived in my office with a diagnosis of rheumatoid arthritis. Tom had already been seen by multiple rheumatologists, and had been prescribed AZT, the immune suppressive drug called Azathiaprine. However, this drug was not helping his arthritis. Instead, it was causing severe muscle weakness, a well known adverse effect of the AZT drug which is a mitochondrial toxin. On examination, Tom’s hands and knee joints were visibly swollen, and tender with active inflammation. He was able to walk and to get up from a sitting position with difficulty, indicating muscle weakness from the AZT drug. Tom was advised to go on a gluten-free and nightshade-free diet, and supplement with Vitamin K2 and Omega 3 Fish Oil. Tom’s serum testosterone was low, below 300, so he was given testosterone replacement, as well. The “Nightshade Vegetabes” are a food group implicated in both osteoarthritis and rheumatoid arthritis. What Are the Night-Shade Foods, and How Do They Cause Arthritis? The nightshades are a group of vegetables including Tomatoes, Potatoes, Eggplant, Peppers and Tobacco. 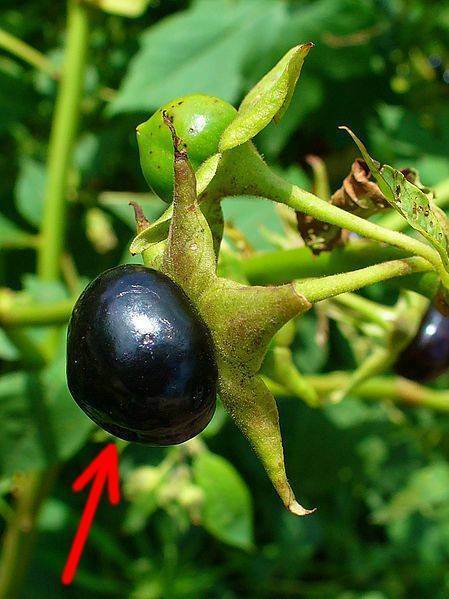 Left Image: Red Arrow points to Atropa belladonna, Solanaceae, Deadly Nightshade. This poison plant is native to Europe and North Africa and contains the tropane alkaloids, scopalamine and atropine, courtesy of Wikimedia commons. Arthritis– Childer’s Diet That Stops it. by Norman F. Childers (Editor) courtesy of Norman Childers. 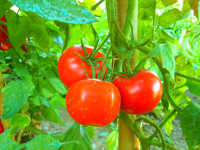 The NightShades contain drug-like substances including solanine in potato and eggplant, tomatine in tomato, nicotine in tobacco, and capsaicin in garden peppers. These drugs may cause paralytic-like muscle spasm, aches, pains, tenderness, inflammation, and stiff body movements. “If you suffer from inflammation, joint pain and cracking, avoiding nightshades will lessen your pain, whether or not the nightshades are the true source of the pain. Muscle pain and tightness, morning stiffness, poor healing, arthritis, insomnia and gall bladder problems—these can all be caused by nightshades. Nightshades contain calcitriol, a highly active form of Vitamin D, (Five times more effective than D3). This highly potent calcitriol causes hypercalcemia, and soft tissue calcification. (8) Over-consumption of calcitriol from nightshade foods can lead to calcium deposits in tendons, ligaments, cartilage, cardiovascular tissues, kidneys and skin. 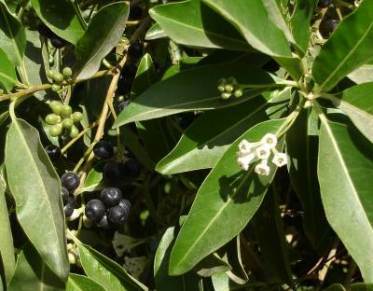 One such Nightshade plant commonly found in Florida contains 1,25 hydroxy-cholecalciferol (calcitriol), and causes soft tissue calcification. This is Cestrum Diurnum (see above image, courtesy of Wikimedia Commons). Consumption of nightshade calcitriol drug can cause chronic hypercalcemia which leads to generalized soft tissue calcification. If this occurs in the joints, it results in arthritis. Osteoarthritis, under this hypothesis, is caused by deposition of calcium in the soft tissues of joints. If calcium is deposited in the wall of the arteries to the heart, this is called coronary artery disease. High Coronary Artery Calcium Score ? If you have a high calcium score in your coronary arteries, it is advisable to avoid Nightshade Foods, and supplement with extra Vitamin K2. (15-19) Vitamin K2 (and not K1) prevents and reverses the soft tissue and arterial calcification caused by Nightshade Foods. 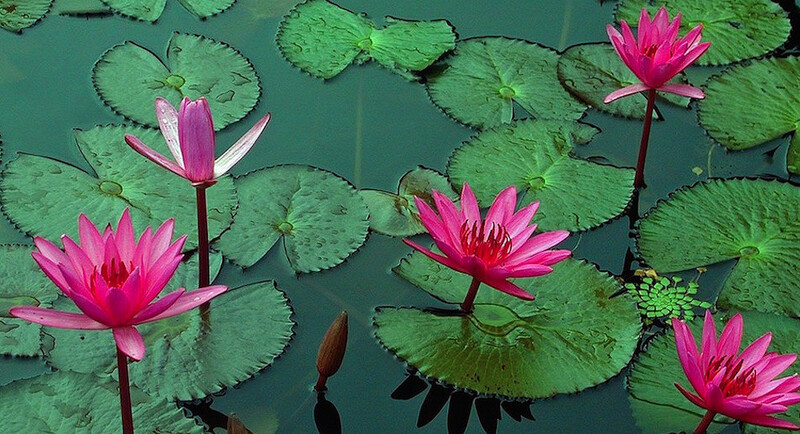 (15-19) The other form of Vitamin K, namely the K1 form, is not effective, however. Vitamin K2 (MK7) was also found beneficial for Rheumatoid Arthritis. (20) Studies find Fish Oil Omega 3 useful in reducing inflammation. (Click here for more studies on Omaga 3 Fish Oil for Rheumatoid Arthritis). A study from Patel published in 2002 showed that glycoalkaloids in fried potatoes caused inflammatory bowel disease in an animal model in mice. Any patients with Crohn’s or Ulcerative Colitis are advised to avoid the Nightshades. 3) Low Dose Naltrexone 4.5 mg caps QHS. 4) Bioidentical Hormone Program if postmenopausal female, or male with low testoisterone. 5) Supplement with Vitamin K2, and Omega 3 Fish Oil. 6) Supplement with Probiotics and Digestive Enzymes. 7) Complete Quest Blood lab panel. 8) Low Level Laser treatments for the affected joints. What are nightshades and in which foods are they found? 2) What are nightshades? As a botanical family, the Solanaceae comprise some ninety-two genera with over two thousand species. Its members include many stimulating, medicinal, or poisonous plants, such as tobacco, henbane, mandrake, and belladonna (also known as the deadly nightshade). The food plants of the nightshade family include some of our most popular vegetables: tomatoes, potatoes, eggplant, and peppers of all kinds (green, red, chili, paprika, cayenne, hot and sweet, except for black and white pepper.) Research has found that when people with joint pains stopped consuming all varieties of nightshades, their condition improved dramatically. No Nightshade Diet – The most common foods in the nightshade family are white fleshed potatoes regardless of the color of the skin, tomatoes, eggplant, bell peppers of any color, cayenne pepper, chile peppers and hot peppers. The leaves of eggplant are highly toxic and never should be eaten. Pimento and paprika are also nightshades. Black and white pepper are not nightshade plants, nor are yams and sweet potatoes. 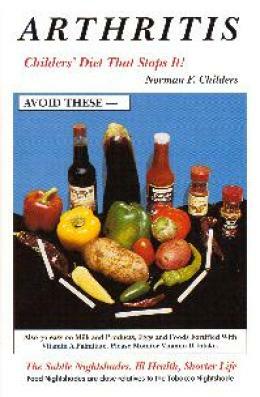 Journal of Neurological and Orthopedic Medical Surgery (1993) 12:227-231 An Apparent Relation of Nightshades (Solanaceae) to Arthritis N.F. Childers, Ph.D.1,2, and M.S. Margoles, M.D.3 1Rutgers University, New Brunswick, NJ 08903, USA, 2Institute of Food and Agricultural Sciences, University of Florida, Gainesville, FL 32611, USA, and 3Arthritis Nightshades Research Foundation, 177 San Ramon Drive, San Jose, CA 95111-3615, USA. Diet appears to be a factor in the etiology of arthritis based on surveys of over 1400 volunteers during a 20-year period. Plants in the drug family, Solanaceae (nightshades) are an important causative factor in arthritis in sensitive people. Chemicals in ‘hot’ Chili Peppers Confirmed to be a Cause of Arthritis! testimonial from message board of lady who recovered once eliminating nightshades Potato arthritis.Solanaceae Arthritis Musculo-skeletal Toxicity . Int J Vitam Nutr Res. 1996;66(1):36-8. Effect of vitamin K2 on experimental calcinosis induced by vitamin D2 in rat soft tissue.Seyama Y, Horiuch M, Hayashi M, Kanke Y. Source Dept. of Clinical Chemistry, Hoshi College of Pharmacy, Tokyo, Japan.Abstract The effect of vitamin K2 on calcium (Ca) and inorganic phosphorus (P) levels in the aorta and kidney obtained from experimental calcinosis induced by vitamin D2(2.5 x 10(5) I.U./ kg b.w.) of male rats was investigated. A high dose of vitamin K2 (100 mg/kg b.w.) inhibited the increase in the aortic Ca and P or in the renal Ca and P induced by vitamin D2, and a low dose of vitamin K2 (10 mg/kg b.w.) showed the same tendency, but the degree of the efficacy was small. It may be suggested that a high dose of vitamin K2 suppressed experimental calcification of soft tissues induced by vitamin D2. Therefore, a pharmacological dose of vitamin K2 might have a usefulness for the prevention and treatment of arteriosclerosis with calcification. Jpn J Pharmacol. 1997 Oct;75(2):135-43. Effects of vitamin K2 (menatetrenone) on atherosclerosis and blood coagulation in hypercholesterolemic rabbits. Kawashima H, Nakajima Y, Matubara Y, Nakanowatari J, Fukuta T, Mizuno S, Takahashi S, Tajima T, Nakamura T.
Source Pharmacological Evaluation Section, Tokyo Research Laboratoires, Eisai Co., Ltd., Koishikawa, Japan. Abstract Gamma-Carboxyglutamic acid (Gla)-containing protein, synthesized in the presence of vitamin K, has been found in atherogenic plaques, but the pharmacological effect of vitamin K on atherosclerosis is unclear. We examined whether vitamin K2 (menatetrenone) could affect the progression of both atherosclerosis and hypercoagulability in hypercholesterolemic rabbits. Vitamin K2 in daily doses of 1, 10 and 100 mg/kg was given with a 0.5% cholesterol diet for 10 weeks to 8 rabbits each. The plasma levels of total-cholesterol in the vitamin K2-treated groups were clearly lower than that of the hypercholesterolemic control group. The excessive dose of vitamin K2, even at the high dose of 100 mg/kg/day for 10 weeks, did not accelerate the progression of atherosclerosis and did not promote the coagulative tendency in the rabbits. In contrast, the vitamin K2 treatment (1 to 10 mg/kg/day) suppressed the progression of atherosclerotic plaques, intima-thickening and pulmonary atherosclerosis, the increase of ester-cholesterol deposition in the aorta, and both the elevation in plasma factor X level and increase in Hepaplastin test value in the rabbits. These results indicate that the pharmacological dose of vitamin K2 prevents both the progression of atherosclerosis and the coagulative tendency by reducing the total-cholesterol, lipid peroxidation and factor X activity in plasma, and the ester-cholesterol deposition in the aorta in hypercholesterolemic rabbits. Atherosclerosis. 2009 Apr;203(2):489-93. Epub 2008 Jul 19. Beulens JW, Bots ML, Atsma F, Bartelink ML, Prokop M, Geleijnse JM, Witteman JC, Grobbee DE, van der Schouw YT. Abstract BACKGROUND: Dietary vitamin K is thought to decrease risk of cardiovascular disease by reducing coronary calcification, but inconsistent results are reported. This may be due to different effects of vitamin K(1) (phylloquinone) and vitamin K(2) (menaquinone, MK), but few studies included both. METHODS: We investigated the association of intake of phylloquinone and menaquinone, including its subtypes (MK4-MK10), with coronary calcification in a cross-sectional study among 564 post-menopausal women. Phylloquinone and menaquinone intake was estimated using a food-frequency questionnaire. RESULTS: Sixty-two percent (n=360) of the women had coronary calcification based on 1.5-mm thick slices. Phylloquinone intake was not associated with coronary calcification with a relative risk (RR) of 1.17 (95%-confidence interval: 0.96-1.42; p(trend)=0.11) of the highest versus lowest quartile. Menaquinone intake was associated with decreased coronary calcification with an RR of 0.80 (95%-CI: 0.65-0.98; p(trend)=0.03).CONCLUSION: This study shows that high dietary menaquinone intake, but probably not phylloquinone, is associated with reduced coronary calcification. Adequate menaquinone intakes could therefore be important to prevent cardiovascular disease. Nutr Metab Cardiovasc Dis. 2009 Sep;19(7):504-10. Epub 2009 Jan 28. A high menaquinone intake reduces the incidence of coronary heart disease. Gast GC, de Roos NM, Sluijs I, Bots ML, Beulens JW, Geleijnse JM, Witteman JC, Grobbee DE, Peeters PH, van der Schouw YT.Source Julius Center for Health Sciences and Primary Care, University Medical Center Utrecht, 3508 GA Utrecht, The Netherlands. Abstract BACKGROUND AND AIM: Vitamin K dependent proteins have been demonstrated to inhibit vascular calcification. Data on the effect of vitamin K intake on coronary heart disease (CHD) risk, however, are scarce. To examine the relationship between dietary vitamins K(1) and K(2) intake, and its subtypes, and the incidence of CHD. METHODS AND RESULTS: We used data from the Prospect-EPIC cohort consisting of 16,057 women, enrolled between 1993 and 1997 and aged 49-70 years, who were free of cardiovascular diseases at baseline. Intake of vitamin K and other nutrients was estimated with a food frequency questionnaire. Multivariate Cox proportional hazards models were used to analyse the data. After a mean+/-SD follow-up of 8.1+/-1.6 years, we identified 480 incident cases of CHD. Mean vitamin K(1) intake was 211.7+/-100.3 microg/d and vitamin K(2) intake was 29.1+/-12.8 microg/d. After adjustment for traditional risk factors and dietary factors, we observed an inverse association between vitamin K(2) and risk of CHD with a Hazard Ratio (HR) of 0.91 [95% CI 0.85-1.00] per 10 microg/d vitamin K(2) intake. This association was mainly due to vitamin K(2) subtypes MK-7, MK-8 and MK-9. Vitamin K(1) intake was not significantly related to CHD. CONCLUSIONS: A high intake of menoquinones, especially MK-7, MK-8 and MK-9, could protect against CHD. However, more research is necessary to define optimal intake levels of vitamin K intake for the prevention of CHD. Food Nutr Res. 2012; 56: 10.3402/fnr.v56i0.5329. Published online 2012 April 2. Vitamin K: the effect on health beyond coagulation – an overview by Cees Vermeer* Prolonged sub-clinical vitamin K deficiency is a risk factor for osteoporosis, atherosclerosis, and cancer. Vitamin K and rheumatoid arthritis. Okamoto H. Source Institute of Rheumatology, Tokyo Women’s Medical University, Tokyo, Japan. Abstract Vitamin K2 [menaquinone-4 (MK-4)] has been reported to induce apoptosis in hepatocellular carcinoma, leukemia, and MDS cell lines. The effects of MK-4 on the development of arthritis have never been addressed so far. In this study, we investigated the effect of MK-4 upon the proliferation of rheumatoid synovial cells and the development of arthritis in collagen-induced arthritis (CIA). We analyzed the effect of MK-4 on the proliferation of fibroblast-like synoviocytes (FLSs) using the 3-(4,5-demethylthiazol-2-yl)-2,5-diphenyltetrazolium bromide (MTT) assay. The proapoptotic effect of MK-4 upon FLS was investigated with annexin V staining and DNA fragmentation and caspase 3/7 assays. Moreover, we analyzed the effect of MK-4 on the development of CIA in female dark agouti rats. Our results indicated that MK-4 inhibited the proliferation of FLS and the development of CIA in a dose-dependent manner. We concluded that MK-4 may represent a new agent for the treatment of RA in the setting of combination therapy with other disease-modifying antirheumatic drugs. Copyright (c) 2012 Jeffrey Dach MD All Rights Reserved. This article may be reproduced on the internet without permission, provided there is a link to this page and proper credit is given. This entry was posted in Uncategorized on March 24, 2018 by The Health Coach.